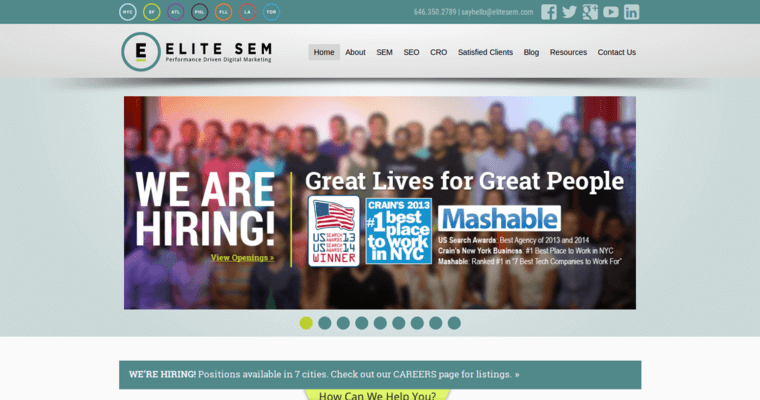 Elite SEM is an agency that specializes in search engine optimization. This is a company that is people-focused and performance-driven. 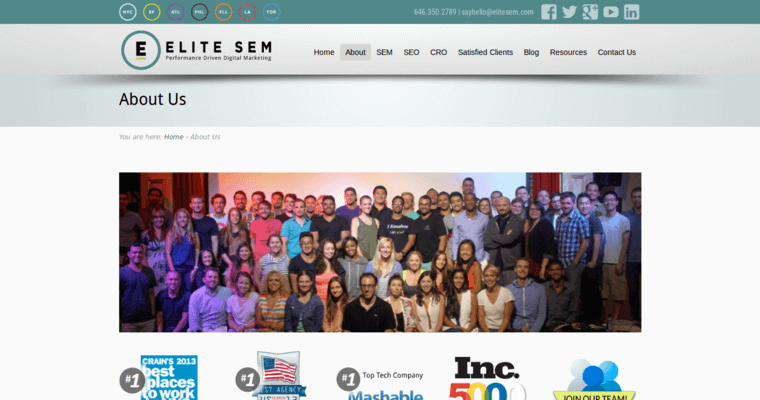 Elite was founded on search engine marketing in 2004. Since that time, this SEO agency has evolved alongside the needs of clients in the online marketing industry. The staff at this company has expertise in email, creative services, Amazon marketplace, performance display advertising, and mobile strategy, among many others. 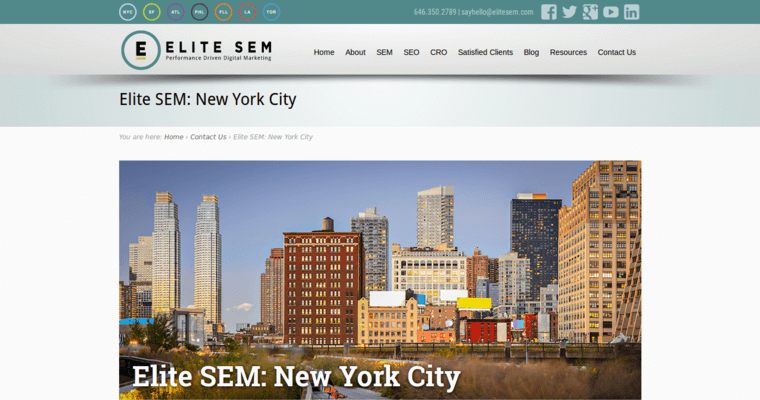 The professionals at Elite SEM work as teams and develop and execute on strategic plans for clients that reach the target audience of a client. This ultimately generates more sales and qualified leads at a rate that is cost-effective. Elite SEM sets themselves apart from other companies for many reasons. This agency treats each employee like a business owner. Aside from this, they also attract and retain top talent. This ensures that employees have the skills and knowledge to help clients succeed.